PingChat! For iPhone is free text, picture, and video messaging app for iPhone. 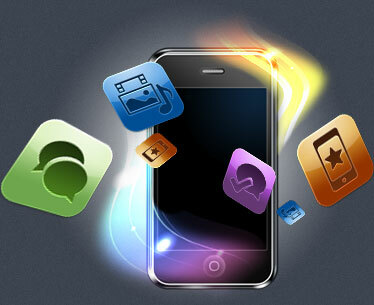 ...... For iPhone can be installed on hundreds of different devices! Seamless integration allows users to chat smoothly across all platforms. There is no concept of signing in or signing out in PingChat!, unlike other instant messaging platforms. Once you install PingChat! and register your PingChat! ID, you will be always be online. This is great because you don't have to wait for your contacts to sign in to be able to chat with them. We use our own private push servers to send you push notifications whenever a new message is received! Whether it be a vibrate or a beep you will always know when you have a new message! Best of all, you are always connected! PingChat! supports the sending of videos, pictures, and voice notes! Also new, send your location to any of your friends and family! Top WMV to iPhone Converter for mac can for convert WMV to iPhone for mac. AVI To iPhone for MAC can Converting MAC AVI To MP4, AVI To iPhone on MAC OS X.
Qweas is providing links to PingChat! For iPhone 2.4.4.1 as a courtesy, and makes no representations regarding PingChat! For iPhone or any other applications or any information related thereto. Any questions, complaints or claims regarding this application PingChat! For iPhone 2.4.4.1 must be directed to the appropriate software vendor. You may click the publisher link of PingChat! For iPhone on the top of this page to get more details about the vendor.